But one of the most divisive aspects driving the discussion around Red Dead Redemption 2 are its controls. 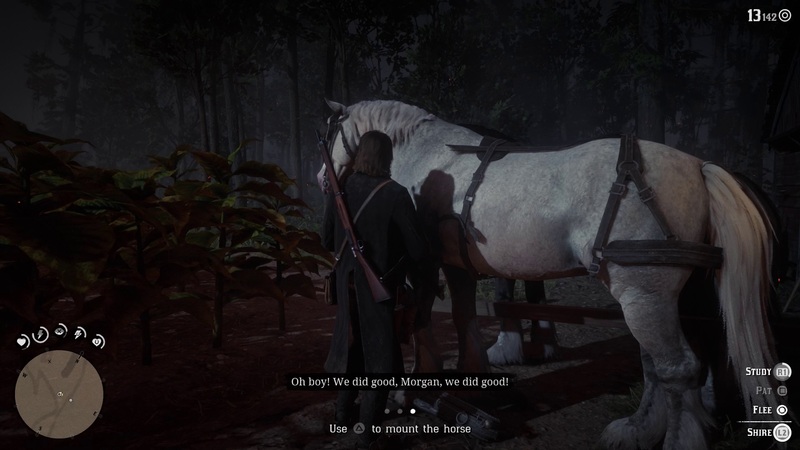 Arthur Morgan takes his time getting anywhere or doing anything, including rifling through the bodies of dead enemies. Enemies move faster than you can free aim, especially on horseback. 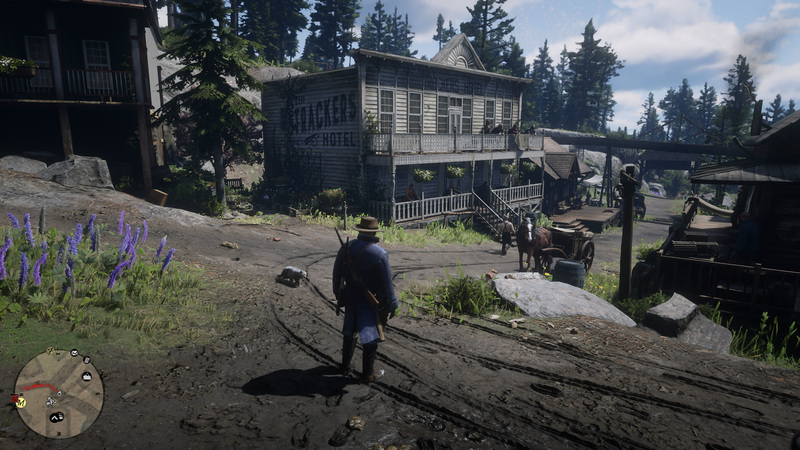 Red Dead Redemption 2's controls are an evolution of the same mechanics that Rockstar has been relying on since 2008's Grand Theft Auto 4. Basic actions like running require more effort than other games in the genre; while running in Assassin's Creed requires holding the analog stick in a direction, Rockstar's games have you tapping a sprint button. Shooting relies heavily on cover and a snap auto-aim system, where holding a trigger will snap your target reticle to the nearest opponent. Trying to shoot without the auto-aim is almost a futile gesture. There's also a finite amount of buttons available on the controllers of mainstream platforms. 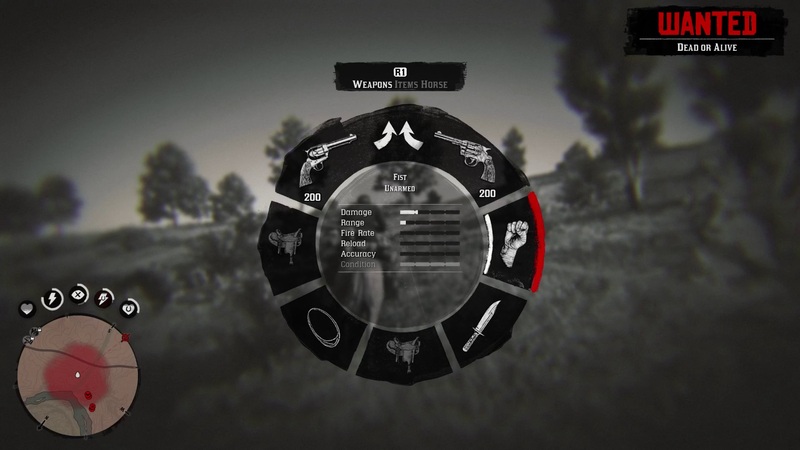 Red Dead Redemption 2 has a radial menu that offers up to three different pages, because players need to be able to access their weapons, consumable items, a camp, a camera, the fishing pole, their horse's inventory and more, at any time. 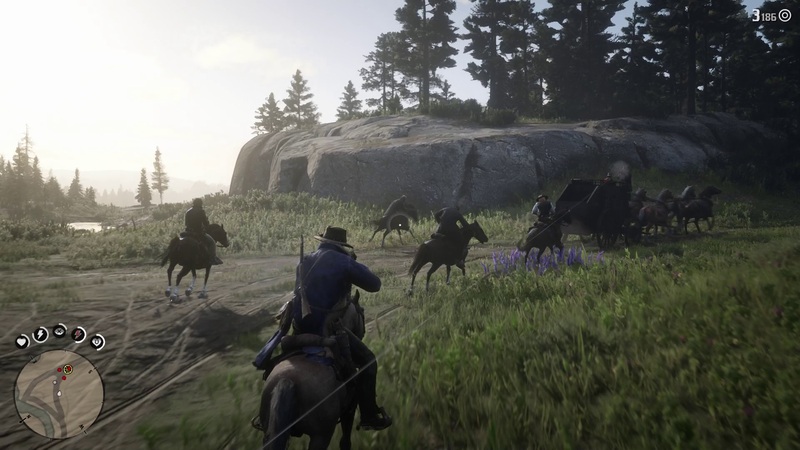 And as interactions have become more complex, Rockstar has relied more on contextual actions, which can get muddled when two situations that use the same button are nearby. You might be aiming at someone to greet them, only to accidentally pull a weapon on them. I noted the controls in my review, as have other reviewers. Rockstar Games has leaned into Red Dead Redemption 2 being a sort of cowboy simulator. Every movement is focused towards animation priority, not input priority, so if you decide to turn in a direction, Arthur himself has to shift momentum first. This isn't new to Rockstar's title, but it's more pronounced in RDR 2. (This is something Assassin's Creed used to do, but the series has switched more towards input-priority in recent games.) It's clearly built for a slower, more deliberate pace, which can break down in pitched firefights or ambushes. Combined with the legacy control scheme, it creates a system where it sometimes feels like you're guiding Arthur, not controlling him. I went into Red Dead Redemption 2 expecting something akin to Grand Theft Auto 5 and that's largely what I received. Expectation matched reality. And others have likewise gotten used to those controls as they've played Red Dead Redemption 2; it resonates so strongly that the overall experience overcomes the control scheme. But driving the discussion is the question of why Rockstar hasn't vastly improved its third-person control scheme, given the vast resources at its disposal? As I said before, this control scheme has its roots in Grand Theft Auto 4, which came out a decade ago. "Feels like you're driving a tank. But movements and aiming were always bad in Rockstar games," said Reddit user Nirkky. "How is that still the case? How have they not figured it out after nearly 20 years," said Reddit user Karcholas in reply. "I was super bummed to see no innovation here," said GameFaqs user Wildstrike1516. "One of the reasons I didn't play [Grand Theft Auto 5] for more than like 3-5 hours before I dropped it and never went back. I could not stand the shooting in that game and unfortunately this one is the same. The setting is different and I like it, so I am trying to get past that aspect but it's such a big part of the game. I don't know why they have chosen this type of aiming style in their games, it's really not enjoyable," said Reddit user Ta2punk. Rockstar does provide a host of control options to tailor the experience in Red Dead Redemption 2. The community has shared tips for those who hate the shooting controls, like turning down the deadzone to zero or turning the acceleration up. Likewise, there's an option to set sprint to a toggle. 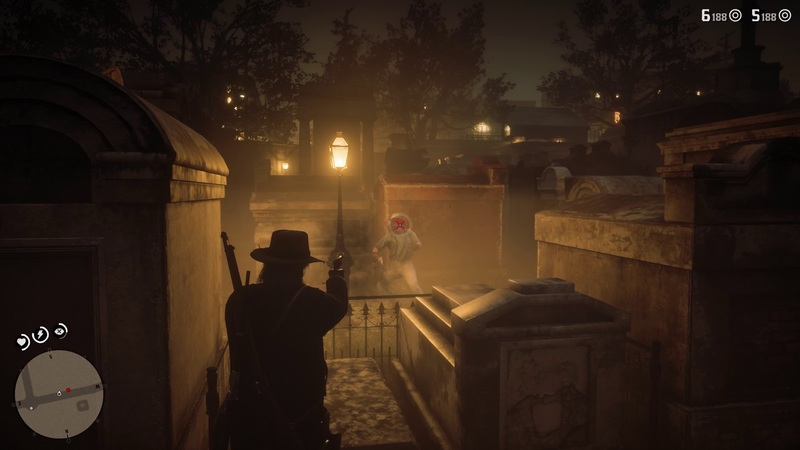 These aren't the default options and Red Dead Redemption 2's pace doesn't change, but players have found this can allow for more free aim, rather than relying on the auto-aim. Of course, Grand Theft Auto V has more than double Max Payne 3's first week sales in just 24 hours, so maybe we voted with our wallets. 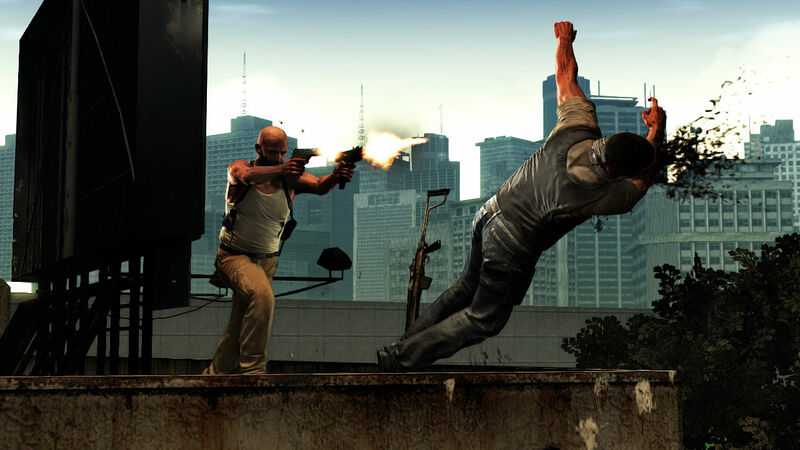 Some players have noted that there has been one modern Rockstar Games title that has offered decent third-person movement and shooting: 2012's Max Payne 3. That game was built around third-person cover based shooting. It's much faster in terms of movement and snappier when it comes to its gunplay. But that style of play remained with the Max Payne series, as Grand Theft Auto 5 and Red Dead Redemption 2 both moved back to an older style. Rockstar's The competition has shifted with the times, but Rockstar has decided to hold its ground. The question still remains, should Rockstar not improve its control schemes? Given the resources at play-Grand Theft Auto 5 is still on the NPD Group's Top 10 every month for North American game sale-can't the studio make something better? I admit, I wonder the same in regards to the games at Bethesda, another company that has relied on very similar styles of play for a long time. In both cases, improvements seem to take a backseat to pouring resources into creating a unique experience. If that experience is your jam, you're in love; if not, you wonder what is wrong with everyone else that they can't see the same flaws. Which I think explains the divisive nature of Red Dead Redemption 2. If you're in the mood for a slow-paced cowboy simulator, you're willing to overlook long looting animations or Rockstar's general control schemes. In a more crowded genre, Rockstar might feel more heat, but this is the only Western game around and some love it for its highs and unique quirks. Rockstar is using its ancient control scheme because the studio believes it can get away with it; like the example of Bethesda, sales back up that sentiment. Red Dead Redemption 2's controls didn't bother me. Despite that, I do think Rockstar Games should take some time and rebuild its foundation from the ground up. Every now and then, a developer should ask, "Is this the best way for a player to interact with this world? Is this achieving the feeling I want the player to have?" My guess is Rockstar is focused on the latter, but more time and thought should be given to the former. When you're working an evolutionary control scheme that's a decade old, there's room to step back and do a soft reboot. Asking these questions results in better games for everyone. Tagged with Action,	Analyses,	PlayStation 4,	Rockstar Games,	Take-Two Interactive Software,	Xbox One.